Hello! How are you doing? Do you feel as if the days are just melting away this year, or is it just me? I’ve been such a busy bee lately with so many things going on that I have been finding it a little hard to keep up. You know the old saying, ‘when it rains, it pours’? Well, it’s bucketing down over here and I am both loving it and willing things to slow down at the same time, worried that it might all just topple down around me. Between interior shoots that I am now doing on a weekly basis, regular columns I’m writing up for Houzz and Decor8, a huge new interior styling project and styled interior productions I’ve been doing lately with the wonderfully talented photographer Jansje Klazinga, I am positively swamped! Throw in a busy (and rather stubborn though delightful, of course) little toddler who spends at least 60 per cent of her day saying the words ‘no’, ‘nee’ and ‘mamaaaa’, a wedding next May which needs to be planned in full and a new house next month that needs a makeover, and that’s where I am at this point in time. Do I sound like I’m freaking out?! Maybe just a tad, but I am also incredibly grateful for all the wonderful things have eventuated from my hard work in the last few months. I found out yesterday that a recent production I styled with Jansje – the most amazing Rotterdam home – is going to be featured in the Dutch magazine VT Wonen! We also did another beautiful production that is going to make an appearance in 101 Woonideeën and the Belgian magazine Feeling Wonen, so all fantastic, and this weekend I am off to the Frankfurt Book Fair to hang out with my co-authors in the interiors book we all collaborated on recently. Exciting times ahead! But without further ado, I am excited to share a pretty project that I recently did for a beautiful wedding event Engaged, which took place last Saturday here in my home town of Delft. I plan to take you on a visual tour of the event soon, but until the images are ready (as I didn’t get a chance to take any myself), I will start by showing you what I got up to! 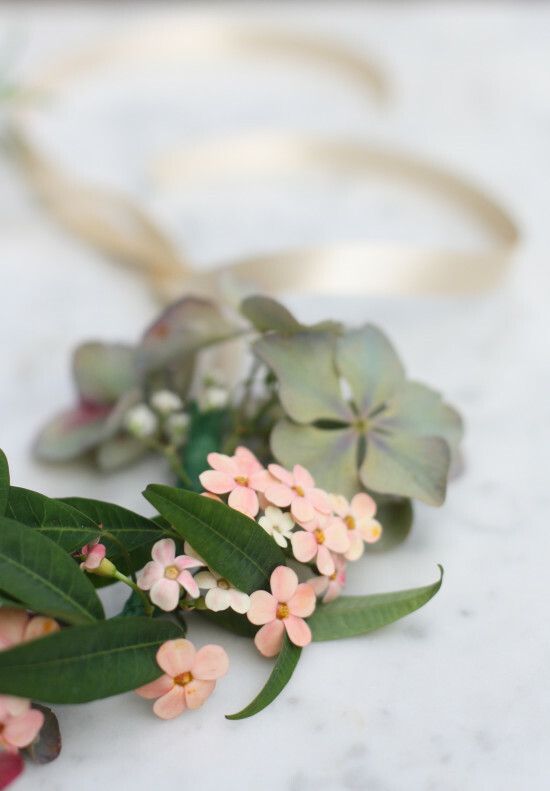 I hosted a workshop offering brides-to-be a few fun and easy DIY projects to try for their own weddings, not as an expert on crafting but simply as a bride-to-be myself wanting to share some of my own inspiration. I was a little nervous (OK, I was packing myself and no doubt had a face as red as a beetroot) but I went well prepared and with an open mind. I hosted three workshops over the course of the afternoon and evening, rotating with my good friends Nathalie and Tessa, interior designers at Nu interieur|ontwerp, who were hosting a moodboard making workshop. Within minutes of the event opening its doors, the entire workshop schedule had filled up! The energy was so positive and the ladies who joined our workshops were all adorable. I returned home with very tired eyes, but a full heart and above all, pride in myself, mostly for attempting the workshop in my broken Dutch – a milestone for me after 4.5 years of struggling with the language and all of it’s gurgling, long-worded glory! Step one: Start by cutting a length of aluminum wire (about 30cm long) using your wire cutters. 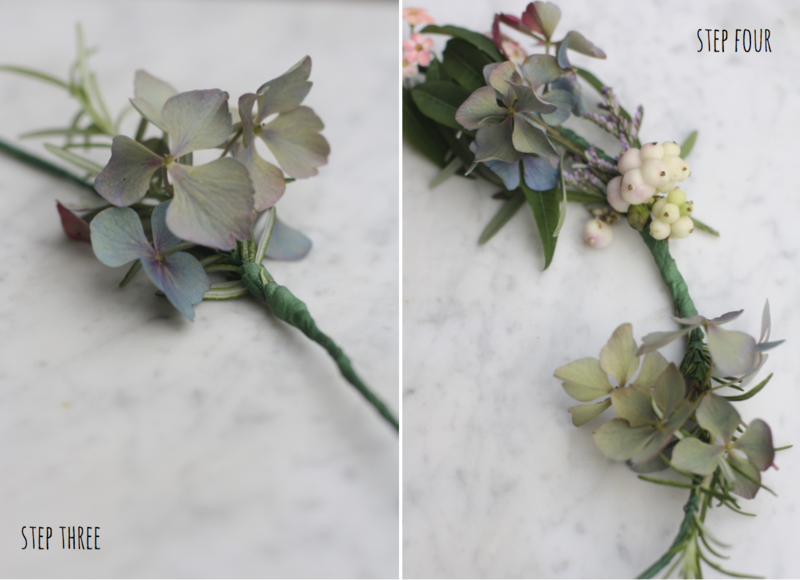 Prepare short lengths of florist wire for later, as well as several lengths of florist tape, cut into thin strips (you’ll thank me later when you’re not grappling to wrap a fat piece of tape around a tiny little opening). 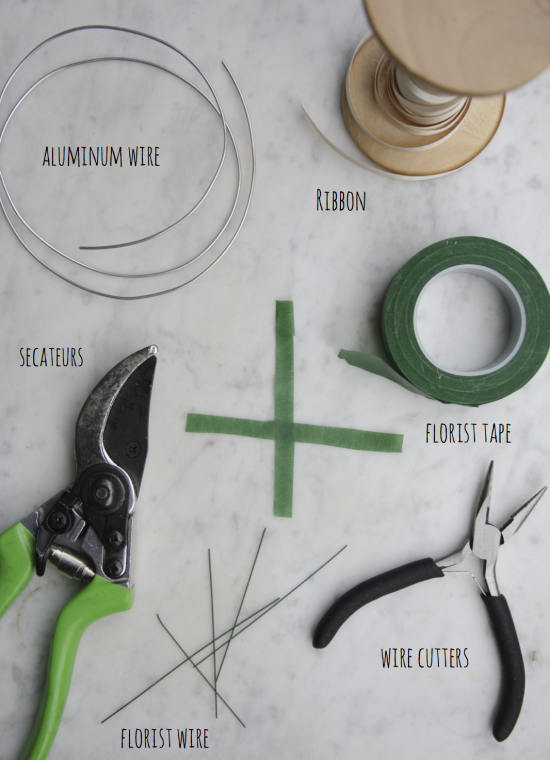 Twist a long length of florist tape tightly around the aluminum wire and press it in with your fingertips so it sticks. You should feel a sticky residue from the tape on your fingertips. 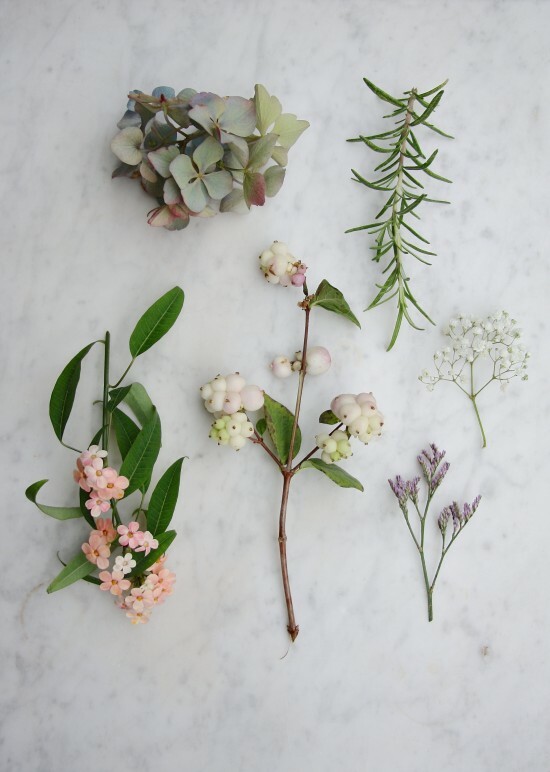 Step two: Prepare several clusters of flowers of two or three varieties each and secure by wrapping the stems in florist tape. 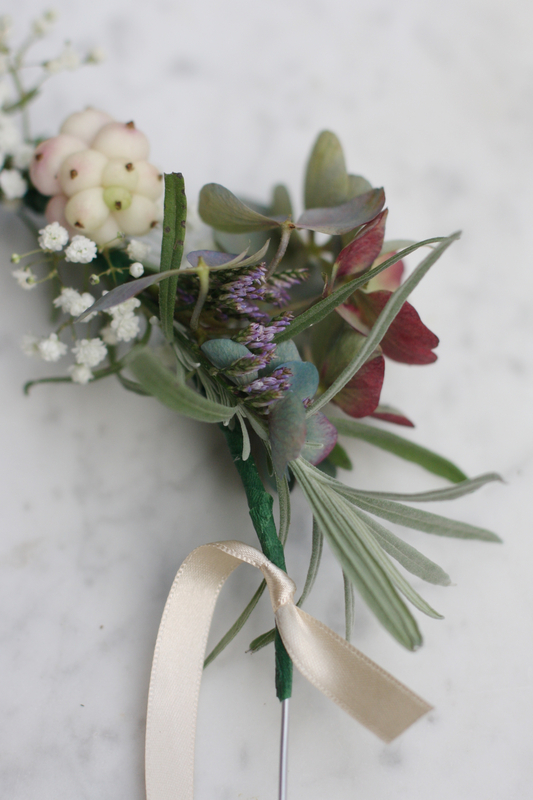 For example, I did one with a spring of rosemary and a small cluster of hydrangea. 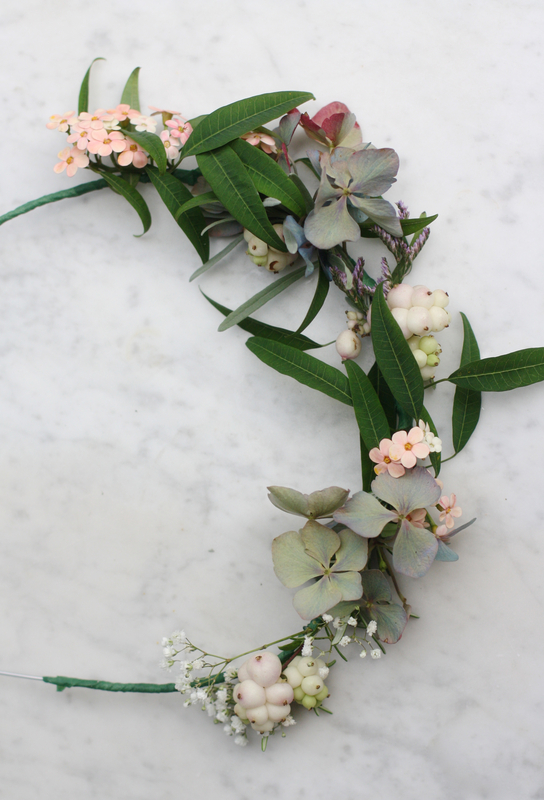 The fuller you want your floral headband, the fuller these bunches can be. 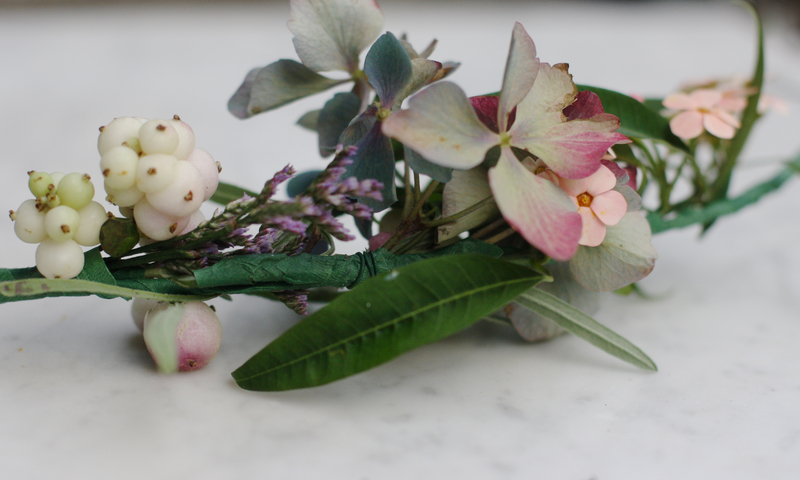 I was going for a more delicate one, so I kept them at no more than three stems per cluster. Step three: From the centre of the aluminum wire, attach one of your flower clusters using a small strip of florist tape. Press it down to secure. Attach the second little cluster to the wire in the same way. It should be facing the first cluster, leading in the opposite direction. 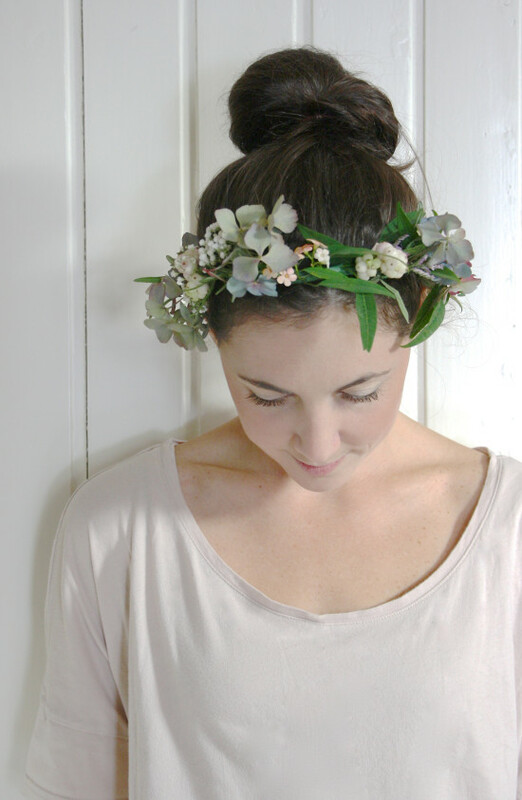 You should now have two pretty floral clusters in the centre of your headband. Step four: Continue adding flower clusters to each side in the same way, using the thin pieces of tape you prepared earlier to attach the taped up stems to the aluminum wire. Stems should all be going in the same direction. 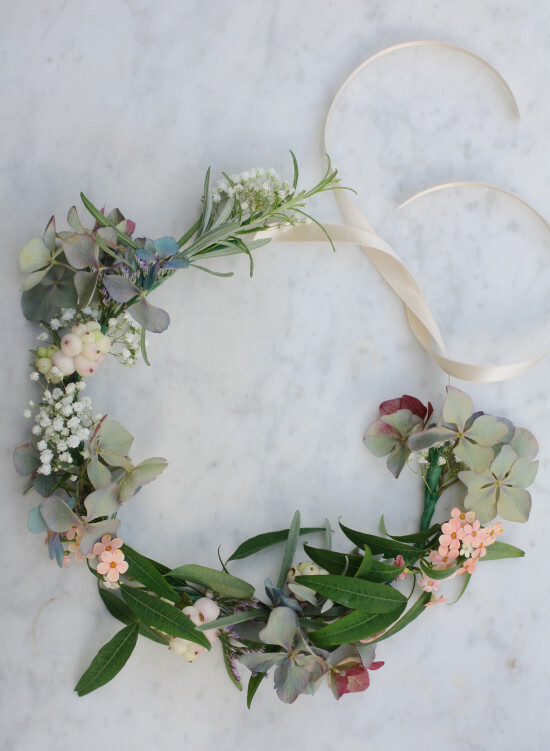 You might need a little more strength in some areas, in which case use a short length of florist wire and wrap it around the area (see above), pressing it all down to secure it with the tip of the wire cutters. 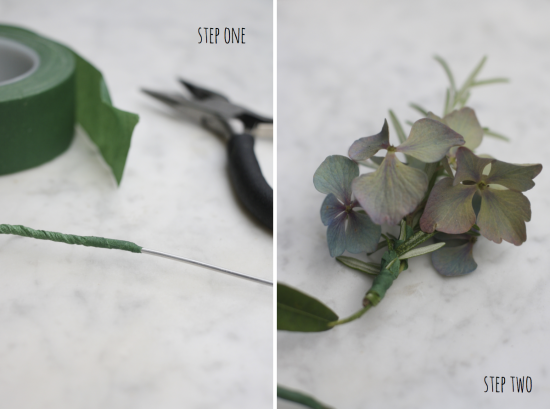 Step five: Keep working your way around the length of aluminum wire until you are pleased with the way it looks, as well as the balance of flowers, foliage and colour. 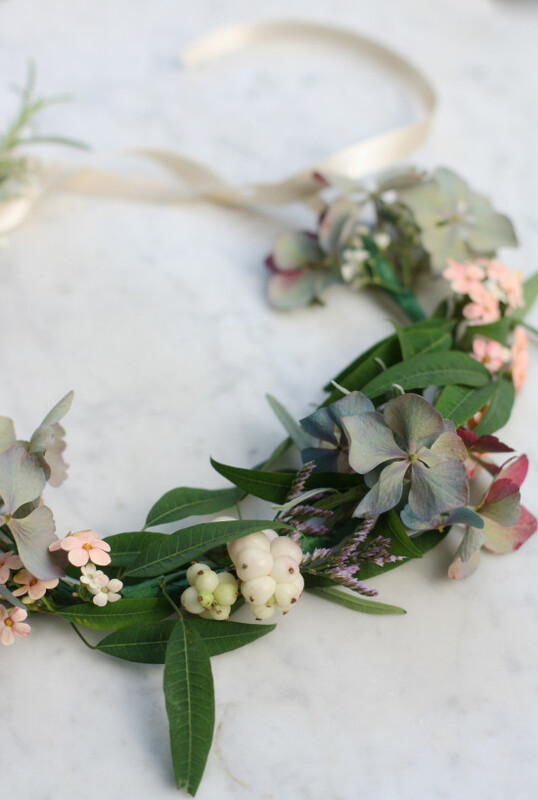 Try it out on your head for size, and when it is about the right size, cut two lengths of ribbon (about 20cm each) and knot to each side of the headband, just beneath the last cluster of flowers. Secure it with a fat piece of florist tape and give it a squeeze for good measure. Snip the ends of the wire on each side and voila! You have yourself a floral headband fit for a fairy princess! I feel a little cheesy adding that last image of me, but I had to show you it on! Pretty, right? I had such fun putting it together in our little garden with Lola by my side creating one too (actually she was on a mission to destroy all my attempts at keeping this one intact and trying to photograph it, the little monkey!). So there you have it, a whimsical crown made from delicate and fresh blooms. Hope you enjoyed this little project! I’ll be back again soon with another tutorial on the other projects we did during the workshop, as well as a tour of the event itself as it was so lovely and inspiring. Thanks, and keep going on with this! don’t feel cheesy! you are lovely~! I obviously have premonitions :-)….You are going to be in VT Wonen! Woohoo! The DIY turned out nice. Love it! Thanks for sharing it. Will definitely try it for my engagement shoots.